Even if you’re not really into the sport of racing, chances are you’ve heard of Danica Patrick. While she’s by no means the only woman to ever sit in a race car, racing is without doubt a fairly male-dominated world and when Patrick stepped onto the scene she immediately caught the public’s eye. After all, who wouldn’t want to know more about the petite brunette absolutely crushing her male opponents in race after race? 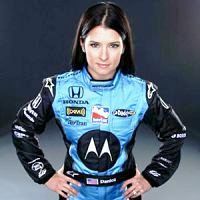 Here are 10 things you didn’t know about Danica Patrick, the female driver blowing up the racing world with her skill and finesse behind the wheel. While many professional athletes start their careers by breaking records at a very early age in their little league books, you can’t exactly hop into a full sized race car and shatter records when you’re still a child. However, Patrick showed her skill at driving at a very early age. 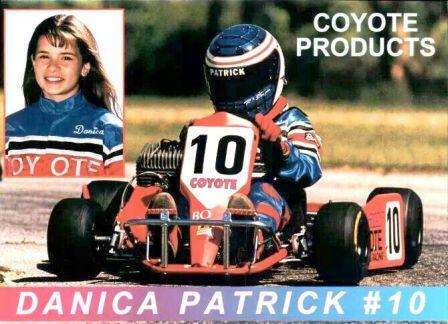 Before she ever got into a race car, Danica Patrick was all about go-karts – she and her sister would go to the Sugar River Raceway in Brodhead, Wisconsin, and put the pedal to the metal. While her sister wasn’t the biggest fan, Danica felt right at home in the go-kart from the minute her parents gave it to her. She sat in her first go-kart at ten years old, the year that her parents gifted her a go-kart and at ten years old she broke the go-karting track record at the Sugar River Raceway. It may seem like a relatively minor accomplishment, but it’s a great foreshadowing of her countless wins and record-breaking in the future.